How much do you spend on veterinary care? Which family member decides it is too much? When does it go from paying for a cure and moving into comfort care? Where do you draw the line in spending on medicine or on-going care? How much do you spend on the care of your dog? When is it too much? See www.deathofmypet.com for resources. sits under the table during dinner, and cuddles with you on the couch while you catch up on episodes of ‘Survivor’. These days, pets are definitely members of the family! Although they definitely bring joy and laughter to our lives, pet ownership also comes with a large amount of responsibility, too – it’s probably accurate to say that a large number of pet owners would actually call themselves pet parents! Our fur kids or our fur family as many of us called our collection of mutts, pure-breeds and other beloved pets are precious to us. We consider them a part of our family. And as with other family members, we take care of them when they are sick and dying. 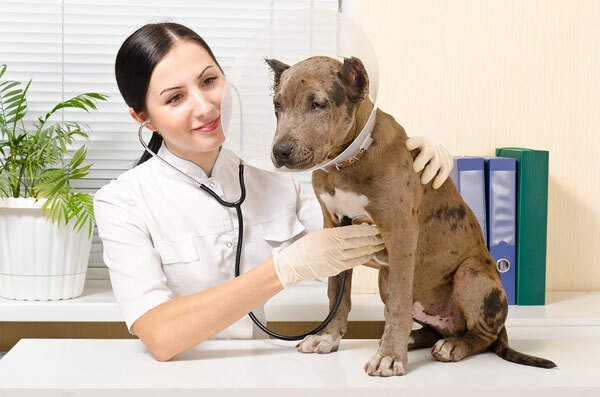 While most of us maintain that we would do anything for our pets, through health or sickness, the truth is that veterinary care can be tremendously expensive, particularly for our senior furry friends or ones facing a chronic disease or long-term illness. Over the past few decades, advances in veterinary medicine have arrived in leaps and bounds; almost any treatment or test that’s available for people is also within reach for our pets, if we choose. Combined with our ever-deepening relationship with our four-legged companions, though, this can make it really hard for owners to draw the line when it comes to the fee from the vet; it’s not unusual for many of us to wonder if we’re spending too much on our pets. The decisions can be heartbreaking, indeed, particularly when paying for veterinary treatment reaches into the realm of causing us financial hardship. While each of us needs to decide what works best for our situation, there are a few factors to think about when your vet is recommending that expensive medication, additional scan or major surgery for your sick pet. How old is your pet? Will this extend their time with you without causing them additional major pain or anxiety? Does your pet have other conditions that might cause the recommended treatment to be less effective or more stressful for your pet? Is this procedure going to significantly contribute to maintaining or improving your pet’s quality of life, or will it make a difference in how your vet treats their illness? What is your financial situation? How will paying for this treatment or procedure affect your ability to cover your other life expenses? Do you have pet insurance coverage or another emergency fund for your pet? Having an honest and open relationship with your pet’s veterinarian is really essential; not only will it mean superior care for your pet, but a vet who knows you, your situation and your pet well can work with you more easily to suggest care that’s within the bounds of your financial threshold. It’s easy to get caught up in the emotional aspects of your furry friend’s situation, and it’s natural to want to give our much-loved friends the best help that we can, of course. While there’s no ‘right’ or ‘wrong’ amount to spend on veterinary care, it’s important to consider the whole picture before you potentially jump feet-first into a large amount of debt. You will find excellent resources and support for life with your fur family at www.deathofmypet.com You can also visit with Judy Helm Wright, Pet Grief Coach, an intuitive guide who can help you make a decision that will benefit you and your pet.